This entry was posted in Mental Game of Writing and tagged Breaking Bad, Bryan Cranston, Malcolm in the Middle by James Scott Bell. Bookmark the permalink. Absolutely excellent advice, Jim. Fortunately, I learned awhile back about not being attached to Outcome. It’s always better to live in the moment and enjoy the process itself. As I’ve told countless others, “that” I write is important, but “what” I write is not. By that I mean no individual novel (or short story) is “special.” Each is the best I can do at the time, at my current level of skill as a writer. It’s a good way to remember to remain grounded in process. Similarly, this also speaks to the difference between dreams and goals. Everyone would prefer to be a bestselling author, make millions of sales, etc. But those are dreams, things that by and large are out of our control. Goals, on the other hand, are things that are within our control. “I will write X number of words per day (or week)” or “I will write X number of short stories or novels in X amount of time.” And of course, always “I will tell the story to the best of my current ability.” All of which requires that we remain firmly fixed in the present and in the process. Excellent note about the difference between dreams and goals, Harvey. Dreams and desires are part of being human, but you can’t dwell in them. You’ve got to put on walking shoes (goals) if you’re going to get anywhere. Good thoughts to hold when ambition, desire, self-doubt or envy threaten one’s focus and fun (been there). Well said and thank you for sharing! Thanks, Tom. There are all sorts mental rocks in the whitewater of writing creativity. I wrote about how to shoot those rapids. Thanks, Tom. Glad it helped. Managing expectations have been one of my biggest challenges as a writer since I went indie two years ago. I was exclusive with Amazon at the time, and obsessed on sales rank, and went into a funk the night, about ten days after my first book launched, when the book’s sales rank dropped. I had dreams of indie bestsellerdom. The fact was, I’d managed to move a few hundred copies the first couple of weeks the book was out, which in hindsight was a great start for someone coming out of nowhere as far as Amazon readers were concerned. I found the key to be, as you put it, to not focus on the outcome. I love the advice to focus on giving rather than getting, and strongly agree with it. Last Halloween I published a short story to my newsletter (“Halloween Duty”) which got a great response, which was wonderful, but I really just wanted to write a fun side-story featuring the hero of my new series and give it to my readers, as a gift. Dale, your story is not uncommon among those going indie for the first time. Or even traditional. It takes years and several books to establish a trajectory, so staying focused on production is the way to go. I like how you wrote a story just to “give it to my readers, as a gift.” That’s how you make fans. Nicely done. Excellent advice, Jim. And “binge-worthy descent into the heart of darkness” is the best short summary I’ve seen of Breaking Bad. It’s good old Stoic wisdom, Jordan. They had a lot of it, even though they didn’t produce many novels. Somewhere in the back of my mind is the dream. It’s focusing on the the process, the baby steps—reaching the goals, perfecting the craft—that keep me marching forward. Well said, Nancy. A dream hanging in the back of your mind, like a motivational poster, is a fine thing. You just can’t stand in place looking at it. Great post, Jim. Your advice reminds of the freedom I found, early in my career (not acting or writing), when I quit worrying about not being good enough or not knowing everything. I was me. I gave my best advice. If those I served didn’t like who I was, hey, they could find someone else. I discovered that freedom greatly increased my ability to connect with others and made me more successful. A bonus, I enjoyed what I was doing a whole lot more. Where am I now in my expectations game? I’m writing middle-grade fantasy for my grandchildren. I have a 5 – 10 year head start to write as many books as I can. If no one else likes the books, that’s fine. If someday my grandchildren discover what a crazy old man I was, and along the way discover a few life lessons from the books, that will be worth it all. In the meantime, I’m having a blast. Thanks for all your wonderful weekly words of wisdom! Steve, I think writing for your grandchildren AND having a blast are two of the best reasons to write in the first place. That infectiousness will show up on the page and, I’m quite sure, translate to other readers. Excellent post and tie-in to Cranston. His LBJ was quite amazing. And you summarized Breaking Bad very well. Cranston has such great range. The old sayin is “Dying is easy. Comedy is hard.” Cranston is brilliant in comedy, but then he can deliver a Walter White or LBJ. Fantastic. Having just returned from a conference focused on business more than craft (although I did take a half-day intensive craft workshop from Jeffery Deaver), so many of the speakers focused on ‘building trust’ with readers, focusing on getting the work done, because without a product, nothing else matters. As always, your wisdom is timely and helpful. If you can’t love the writing process, you’re probably in the wrong business. Indeed, Terry. As Robert B. Parker used to say, the most important thing a writer does is produce! I’ve always worked this way as an actor. I used to work this way as a columnist. I haven’t been doing it with writing longer pieces. I’m stealing this. It’s getting posted above my monitor. I’m in a “just keep going” stage, and it’s very fitting right now. Happy to lend it to you, Justine! Sound advice, Jim. It takes some writers a while to figure it out, I think. When they finally do, their souls flourish, their creativity reaches new heights. Conversely, if a writer thinks only of awards and ranks, they’ll create the perfect storm for writer’s block or burn out. Great post and great timing, at least for me. I’m going through one of those periods where the writing is going along okay but nothing else seems to be progressing. I always tell people to focus on the things you can control, but it appears that even I need to be reminded from time to time. Sorry I’m late to the comments. Love this post and the previous comments. This paradox applies to so many facets of life, including writing. The more you give the more you get. You don’t give to get. You give because willing the good of others is a reward in itself. 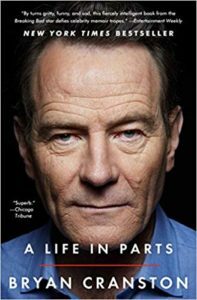 Thanks for sharing the excerpts of Cranston’s book and for the reminder.